The Los Angeles Abrasion Machine is used for determination of the aggregates resistance to fragmentation. The machine consists of an electronic control unit and a rolled steel drum having an inside diameter of 711 mm and internal length of 508 mm. The drum is rotated at a speed of 31-33 r.p.m. The internal shelf provided with the machine conforms to ASTM and EN standards. The machine is equipped with an automatic counter, when the preset revolution count is reached, the machine will stop automatically. 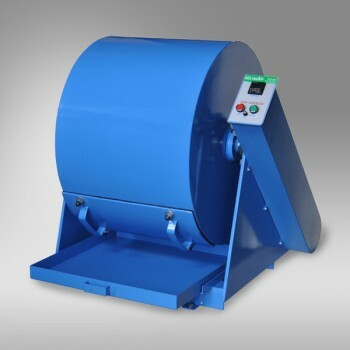 The drum is equipped with an interlock device which allows the operator to lock the drum into position for easy loading/unloading of the sample. 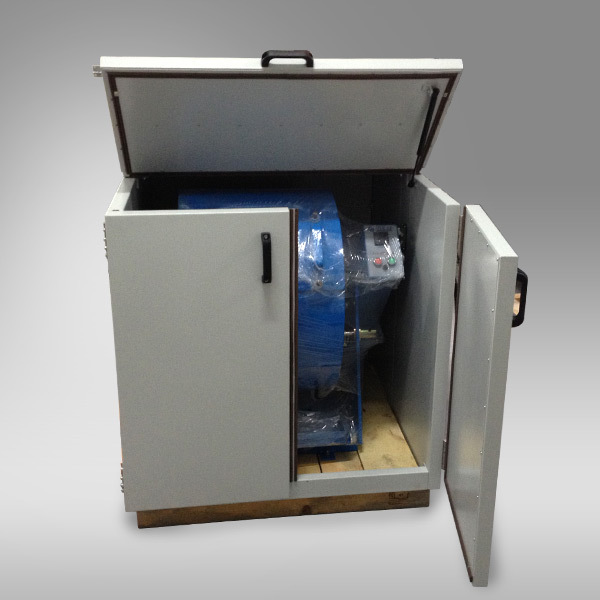 The standard model can be supplied with a safety/noise reduction cabinet. The cabinet is lined internally with soundproofing material to reduce sound level conforming to CE directives. The cabinet must be ordered with the Los Angeles machine if required, as the electronic control unit will be installed on the safety cabinet at the time of manufacture. The cabinet is equipped with an electric safety device which automatically stops the rotation of the drum when the door is opened, conforming to CE directives. 1.6 mm (for EN) and 1.7 mm (for ASTM No.12) sieves should be ordered separately.